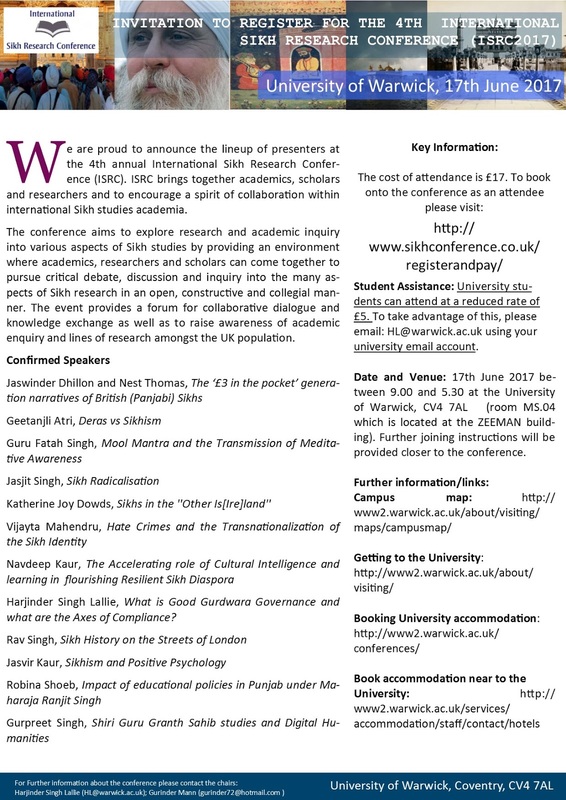 Please find attached the final call for registrations for the 4th International Sikh Research Conference at the University of Warwick (17th June 2017). 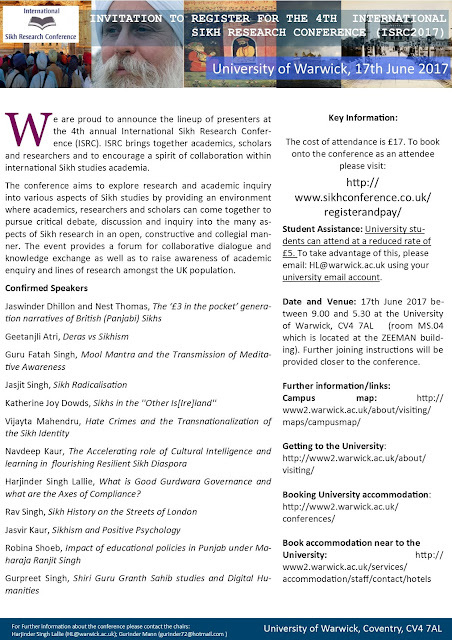 As you will see we have a wonderful lineup of speaker with subjects covering: Sikh Scriptures, Sikh heritage in London, Sikh Empire under Maharajah Ranjit Singh,'Sikh radicalisation' and many other subjects. There is discounted rates for students. We look forward to seeing you at ISRC 2017. Wow. Amazing subject. 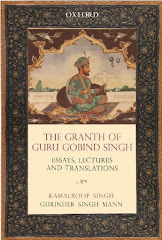 Sikh radicalization needs to be discussed and talked about so that it clears the air and all the misunderstanding. Looking forward to it.